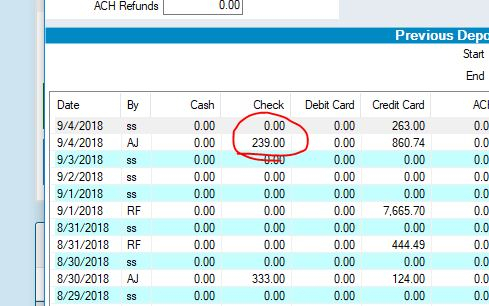 Is there away to search a check number in sitelink to see where the check was applied to and which account? I know I can go to the tenants page and look at the receipts of all of the payments that have been made or go to the ledger setting. But I am curious if you can actually search by check number anywhere? I am new to the system and I am trying to learn everything I can about it. Do you know the date it was entered? You could go to your daily close screen and double click the date under previous deposits and it will pull your daily deposit with detail. Payment types are grouped together. Thank you, I will explore that ! I find the best way is to go in to adjustments, NSF Payment Reversal, choose any tenant and on the right hand side you'll see a little box to enter the check number, it searches all tenants for you!